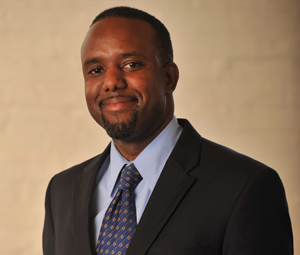 Evans joined Greater Trenton to serve as Vice President of Marketing and Communications with more than 20 years of experience leading major marketing efforts for companies in economic development, real estate, non-profit, technology, and business/financial arenas. Prior to joining Greater Trenton, Evans served as Vice President of Marketing at The Goldenberg Group promoting the company’s existing real estate assets and non-profit organization. Prior to Goldenberg, Evans served as Director of Public Relations and Publications at Select Greater Philadelphia, where he was instrumental in promoting the 11-County Greater Philadelphia Region as a premier business destination. He also served as Director of Policy Communications for The Greater Philadelphia Chamber of Commerce. Prior to the Chamber, Evans served as the Director of Public Affairs for the Alliance for Downtown New York, where he worked with the mayor’s office and other city, state and private agencies to help boost the region’s economy by promoting the businesses, cultural institutions landmark attractions, and real estate incentives after the devastation of 9/11. He also headed up public relations and communications for a number of start-up companies after managing several key client relationships at Burson-Marsteller in New York City. Evans earned his BA in Communications and Psychology at Hunter College, NY and completed his MBA in Computer Information Systems at Baruch College, NY.